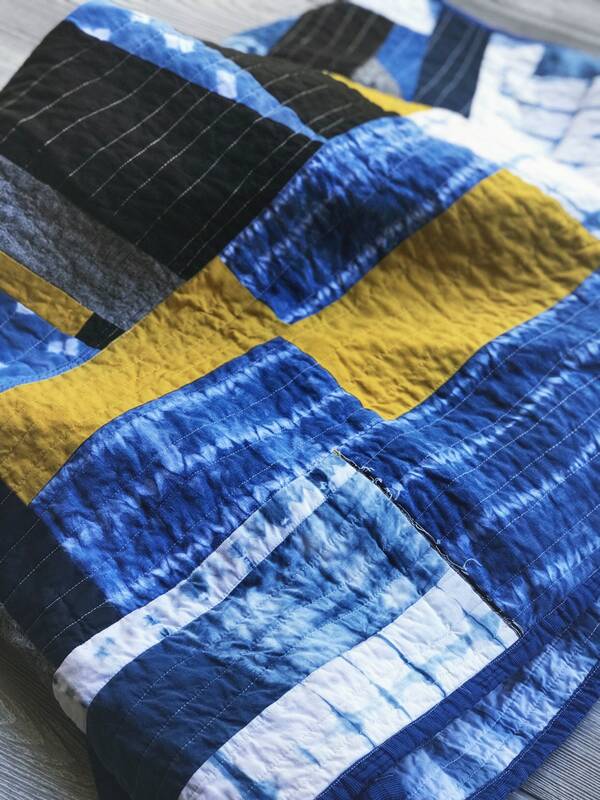 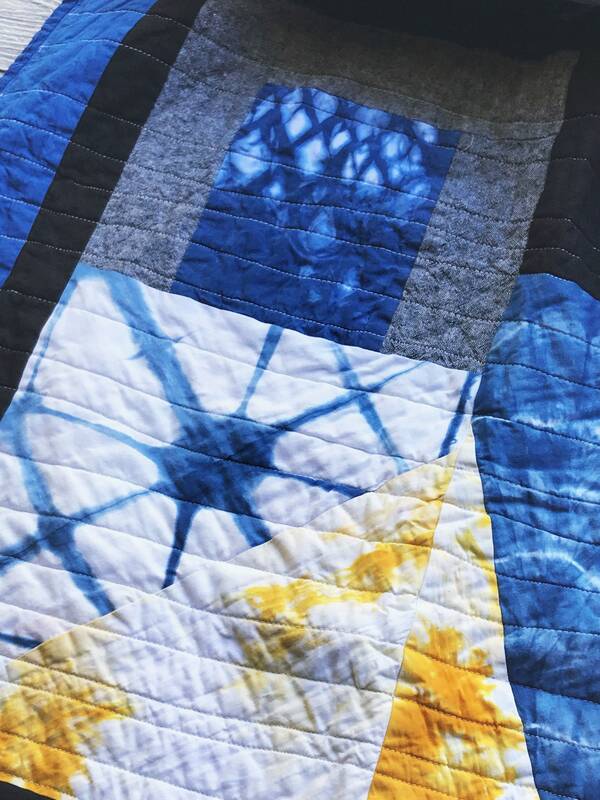 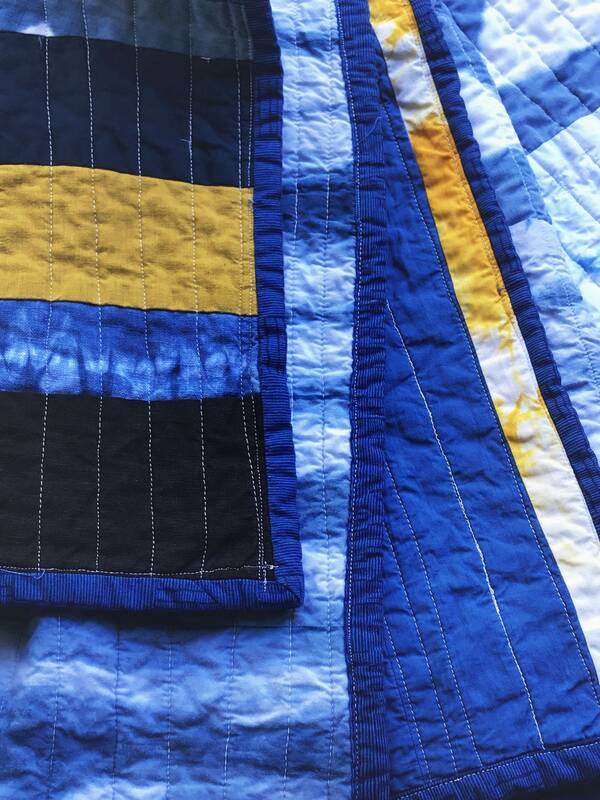 Throw size shibori quilt - Handmade and hand dyed, patchwork indigo shibori quilt. 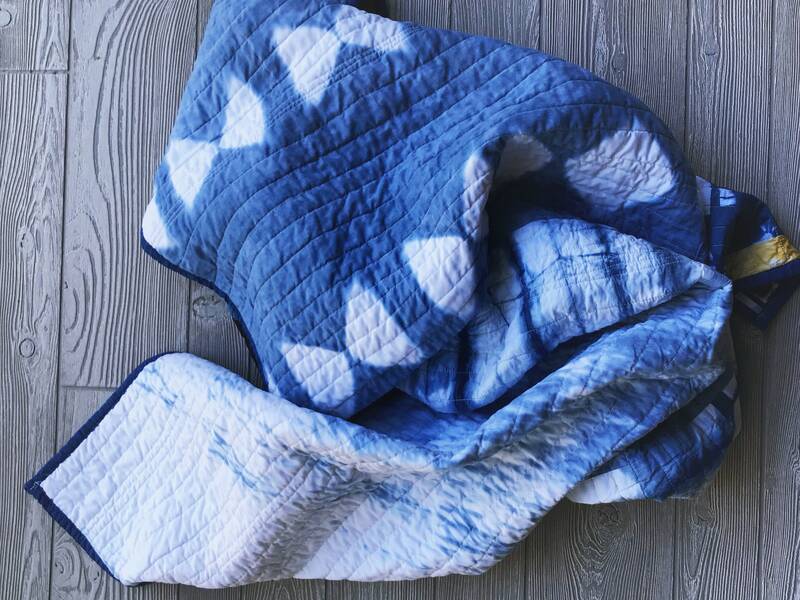 is the perfect one-of-a-kind addition to your boho or eclectic decor. 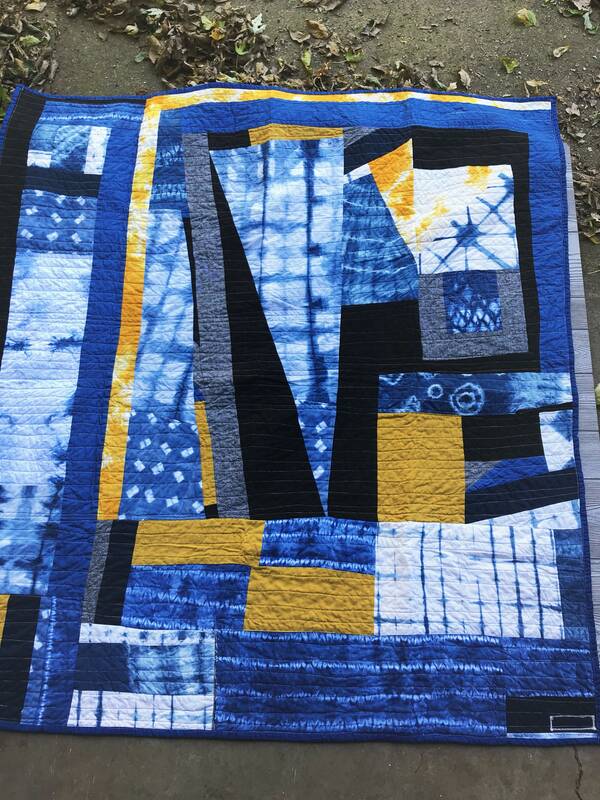 The edging is a bright indigo print. 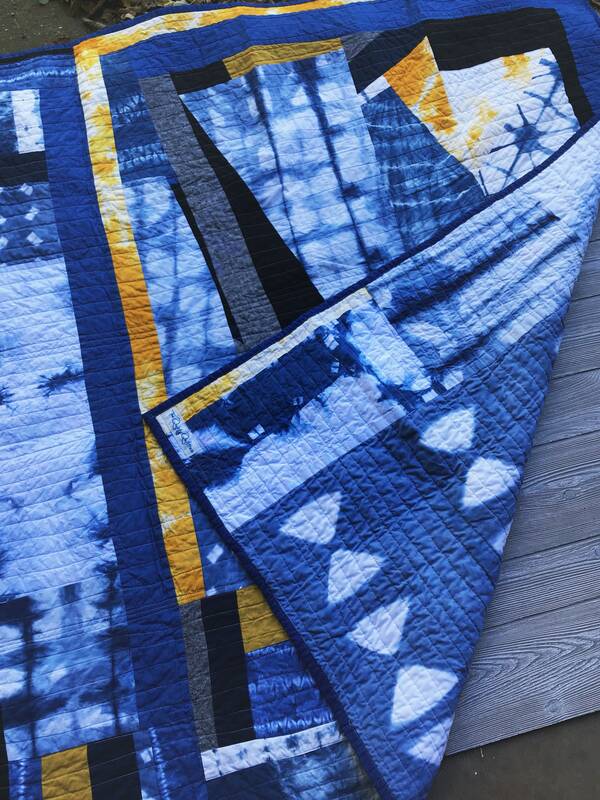 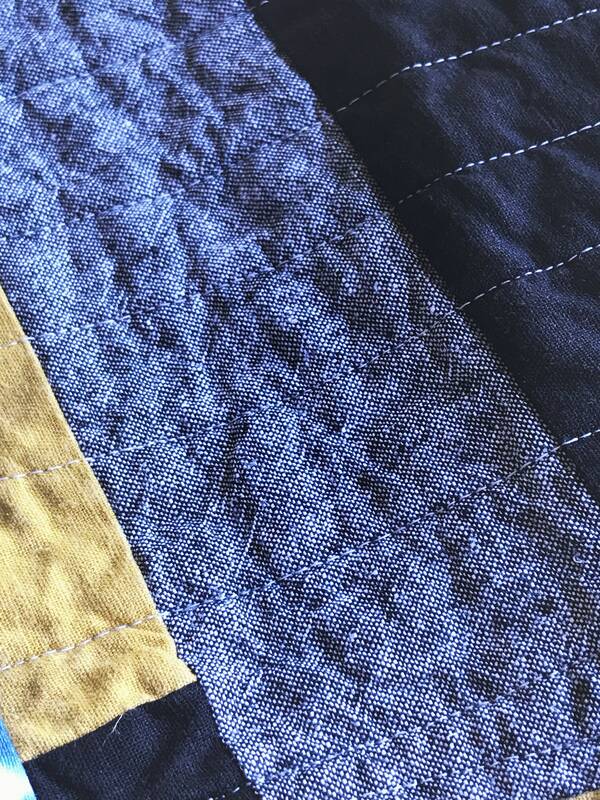 Large scraps of indigo are highlighted by smaller scraps of hand dyed yellow cotton, as well as black, yellow, and gray linen for added texture. 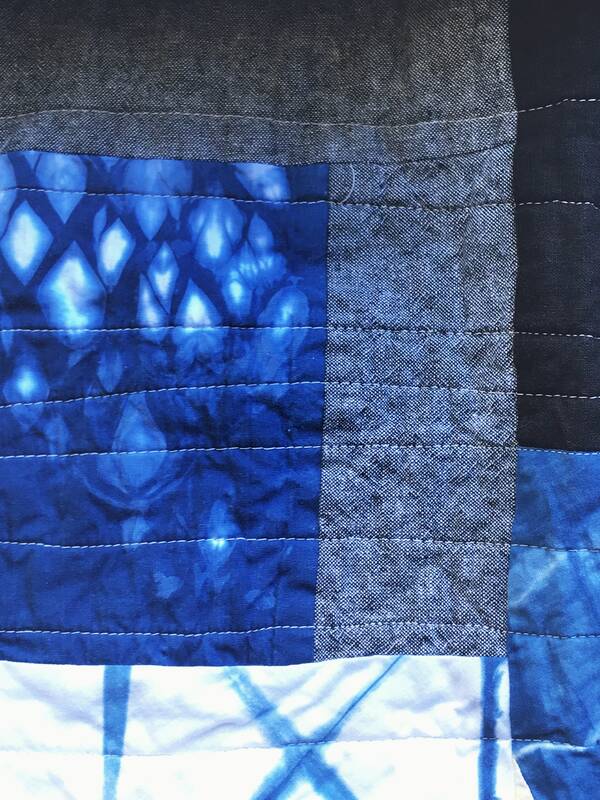 The back of the quilt consists of large scraps of indigo and white cotton. 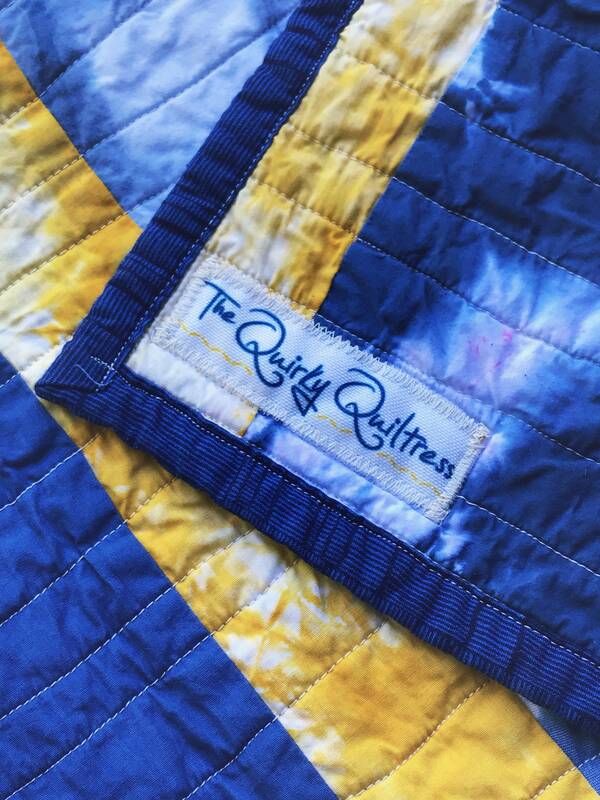 The quilt is insulated with a medium-weight batting. 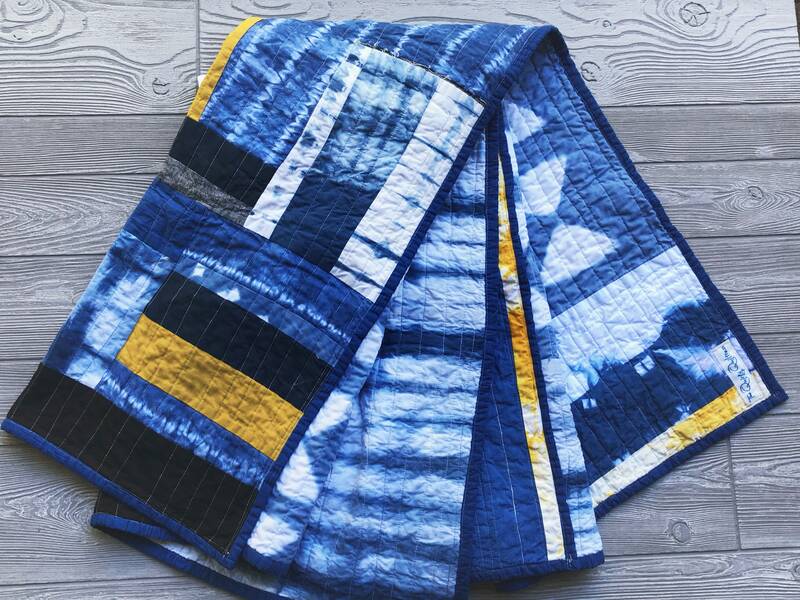 The quilt would be great as a throw quilt, or as a large wall hanging.